I am so excited to be able to share some of the incredible features unveiled on NCL’s newest cruise ship, Norwegian Encore. If you followed my trip on the inaugural sailing of Norwegian Bliss last year you will have seen how ground breaking NCL are. The family entertainment and activities are incredible, offering the latest technology at sea to keep families entertained and busy the whole time they are at sea. 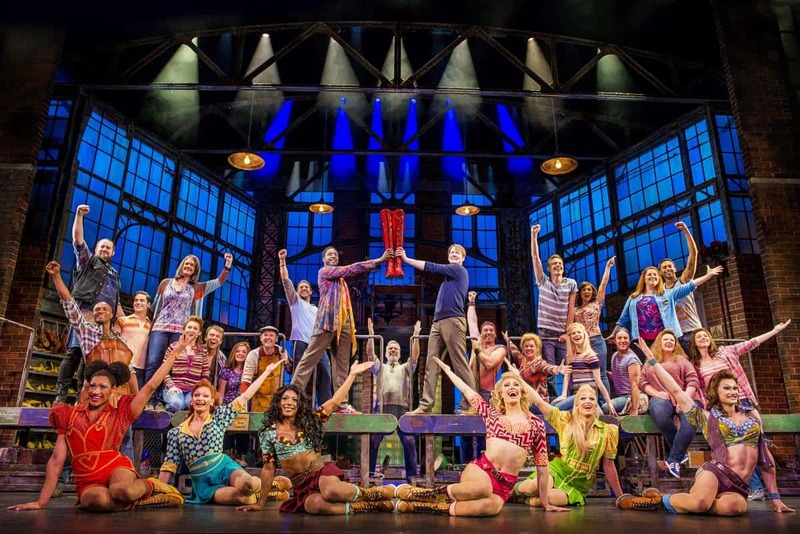 Entertainment On Norwegian Encore Will Include…. Expanding on some of the most compelling entertainment at sea, “The Choir of Man,” which recently debuted on Norwegian Escape, combines high energy music, dance, live percussion and foot stomping choreography by the incredible talent of nine ordinary guys who perform everything from sing-along anthems to classic rock. 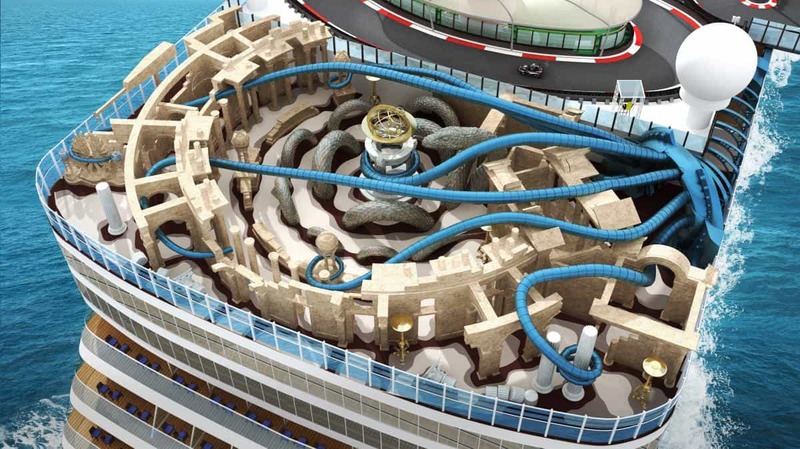 As the only company to offer go-karts at sea, Norwegian Cruise Line is expanding its portfolio with a bigger and better two-level race track on Norwegian Encore. 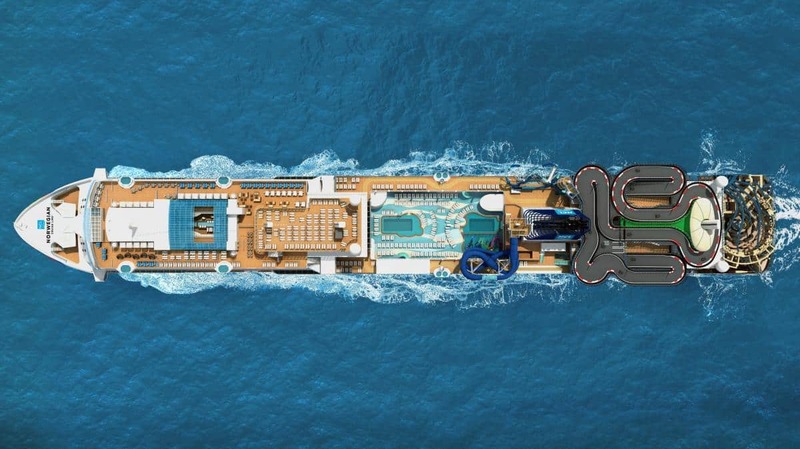 At nearly 1,150 feet, ten exhilarating turns and four points that extend up to 13 feet over the side of the ship, guests will enjoy the largest race track at sea. Additional upgrades include a covered viewing area in the centre of the track where guests can provide passing go-karts with an additional turbo boost by tagging them with a laser beam. a more than 10,000-square-foot indoor virtual reality complex, showcasing cutting-edge technology and interactive gaming. From multi-sensory virtual experiences, simulators to an escape room taking guests on a labyrinth of adventures, guests of all ages will be able to find something to enjoy. The industry’s only open-air laser tag arena made popular on Norwegian Bliss will reappear on Norwegian Encore, but this time as the resurrected lost city of Atlantis, with new elements for a more exciting and interactive experience. 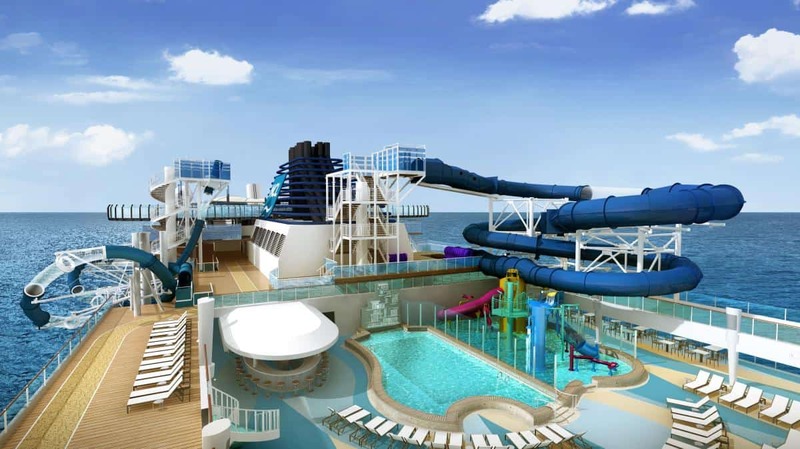 The ship will also feature the Aqua Park, which guests have come to expect of the Breakaway and Breakaway-Plus class, including two multi-story water slides, one of which extends 11 feet over the edge of the ship and loops down to the deck below. At approximately 169,000 gross tons and accommodating up to 4,000 guests, Norwegian Encore will cruise out of Miami every Sunday and sail seven-day voyages to the Eastern Caribbean, beginning with her first journey on November 17, 2019 through April 12, 2020. Now if that will not make you want to round-up the kids and not book a cruise then I don’t know what will? Keep your eyes peeled for more news about Encore. And knowing what Bliss is like makes the anticipation of Norwegian Cruise Lines newest ship all the more exciting.